Former President Donald Ramotar’s assertion that the governing coalition has hatched a plan to delay the next general elections was rubbished Friday by Minister of State, Joseph Harmon. 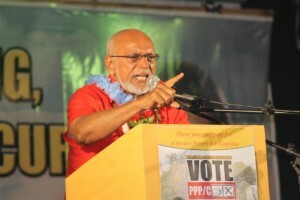 “The administration of President (David) Granger has made it clear that we have no intention of either lengthening or shortening the term of office, that at the time when elections are to be called they will be called and so we can put that to rest about trying to delay an elections,” he told a post cabinet news briefing when asked by Demerara Waves Online News. The veteran People’s Progressive Party (PPP) politician has contended that President David Granger has been deliberately delaying the appointment of a Chairman of the Guyana Elections Commission (GECOM) to stall the holding of the next general and regional elections that are constitutionally due in 2020. By that time, according to Ramotar, the People’s National Congress Reform (PNCR)-dominated coalition hopes to spend flowing oil revenues on numerous projects with the aim of securing votes. “The thing is that the government is performing very, very poorly and they have lost considerable my mind in public opinion and they obviously plan to do things to try to stay in power,” he said. 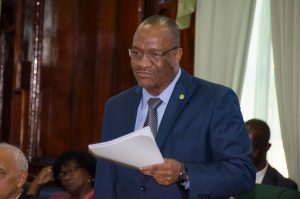 The former Guyanese leader further charged that the removal of immigration and the Registry of births, deaths and marriages from the Ministry of Public Security (formerly Home Affairs) for the first time in Guyana’s history and putting under a new entity called the Ministry of Citizenship and Immigration is part of the plot to rig the next general elections. Ahead of next Monday’s meeting between the President and Opposition Leader, Bharrat Jagdeo to discuss the now more than six-month delay in appointing a new GECOM Chairman, the Minister of State did not believe that those talks should be deferred until the High Court gives its interpretation of the Constitutional provision governing the appointment of the Chairman. Jagdeo’s two lists of six names have all been rejected by the President, prompting the Opposition Leader to threaten legal action if the President appoints someone unilaterally and warn of other consequences that the Guyanese leader would have to bear full responsibility for. “There is nothing in the law that seeks to fetter the President in matters of this nature; that the law requires the President to consult with the Leader of the Opposition and that consultation has been extensive,” Harmon said. Asked what would happen if the High Court’s interpretation differs from a decision that Granger and Jagdeo might arrive at, the Minister of State said “the President is acting in accordance with the constitution and the constitution is the supreme law of the land. The first list of rejected persons was composed of Governance and Conflict Resolution Specialist, Lawrence Lachmansingh; Chartered Accountant and Attorney-at-Law, Christopher Ram; Retired Major General, Joseph Singh; Business executive, Ramesh Dookhoo; Indian rights activist, Rhyaan Shah and History Professor James Rose. After that list was rejected on the basis that none of them was a judge, retired judge or eligible to be a judge; the President then issued additional criteria of integrity, independence and impartiality including that none of them must be an activist or affiliated to any political party in any form, apparent or hidden. The second list that the president deemed “unacceptable” was made up of Retired Justices B.S. Roy, William Ramlall; Attorney-at-law and a former Magistrate, Ms. Oneidge Walrond-Allicock; Attorney-at-Law, Kashir Khan; Attorney-at-law, Nadia Sagar and businessman, Gerald Gouveia. In a media statement, the President said he rejected the second list because after examining the curriculum vitae he was not present with a wide range of options from which to select someone to chair GECOM.